Frances Saunders (Bachelor of Applied Science Horticulture) is a full time teacher in horticulture and landscape at Chisholm Institute TAFE, Cranbourne, Victoria. Before taking on this position a year ago she had over 20 years’ experience as a landscape designer, horticultural writer and teacher. 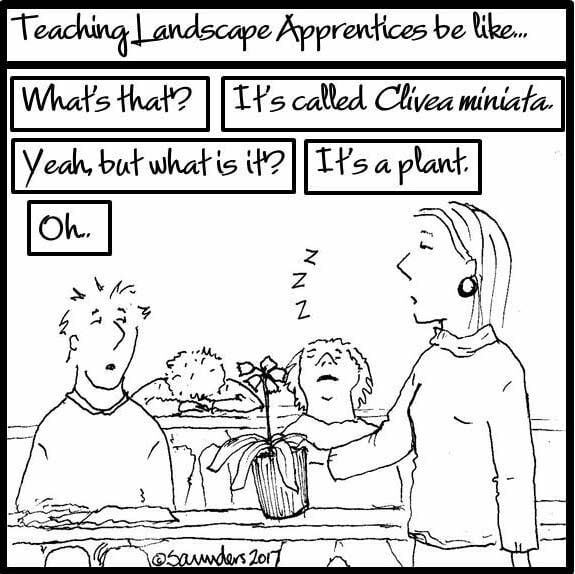 She does Outside Matters Cartoons (absurdist cartoons for gardeners) to keep her sane (or so she says).